Holistic Anti-Aging Wine Therapy Facial. 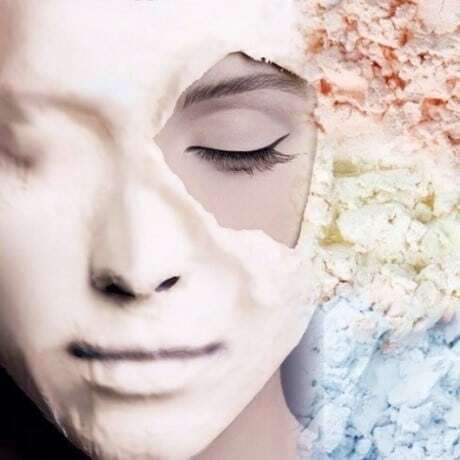 The natural and healthy alternative for a facial. Aroms-Natur the specialist in aroma skincare. Scientific aromatherapy and aromatherapeutic cosmetics. The routine starts with a gentle cleansing massage that is applied to the decolté, face and neck using Aroms-Natur gentle Chamomile cleansing lotion which cleans, balances and soothes skin. 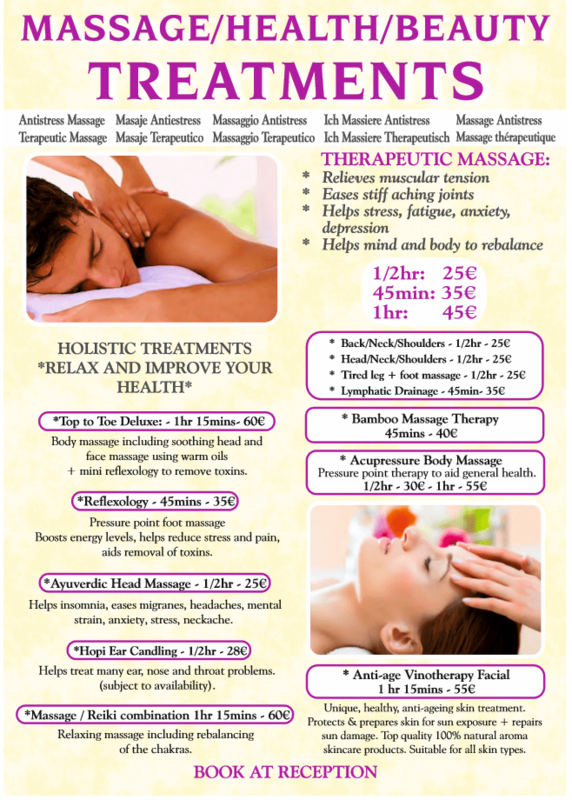 A calming start to your therapy that promotes relaxation and a sense of well-being. This is an important part of a skincare routine. It is used to remove dead skin cells and surface debris, making it easier for the products and serums to be deeply absorbed into the skin. This exfoliation mix contains sea salt with kelp to remineralize skin. Essential oils of geranium and lemon increase lusture, promote cell growth, tone muscles and also have healing +antiseptic properties. Cabernet Sauvignon grape skins are ground down (micronized) to make a fine powder and this is also added to the exfoliation mixture to help protect capillaries (thread veins) and also has excellent ant-oxidant properties which is important in the anti-aging process. The gauze is first soaked in Aroms-Natur Neroli Floral Water before being applied to the face. Neroli has moisturizing and regenerative properties. This Floral water is made from the essence of Bitter Orange Blossom.– this aromatic essence eases stress response, calms the mind and uplifts the spirit. The Red Wine Mask is then applied over the gauze. The red vine powder used for the mask is made from ground down grapevine and whole grape including seeds.. Hydrating, moisturising, anti inflammatory and.antoxidant. Antioxidants help prevent or stop cell damage caused by harsh external factors. * An arm and hand massage is carried out gently whilst the face mask is taking effect over its required timescale to promote relaxation, or alternatively a gentle head massage. The face and decolte is then prepared for the facial massage by removing the mask and refreshing the skin with Aroms-Natur Neroli Floral water this gives the skin a hydrated fresh feeling after cleansing. 4. * Lifting effect Acupressure Facial Massage. Organic silicon-intensive firming product mixed with Aroms Natur Antioxydant Natural Serum is used for the facial massage. Organic silicia (silicon) is used for the deep treatment of sagging skin. Silicon is a trace element essential for maintaining good skin tone and elasticity. The Vid Roja (Red Vine) Antioxydant Natural Serum has a rapid absoption and is specially designed for skins that show signs of ageing. It has an exceptional composition to neutralise free radicals and stimulate regeneration. It stimulates microcirculation, facilitates oxygenation of the skin giving it back a healthier, more radiant appearance. With regular use it increases the volume of the skin, gradually softening wrinkles. Ingredients: grape seed oil,hazelnut oil,rosehip oil,wheatgerm oil, essential oils of neroli,myrhh,ylang ylang,sandlewood. *This deeply relaxing facial massage is not only excellent for improving beauty, but it also helps improve health 🙂 . 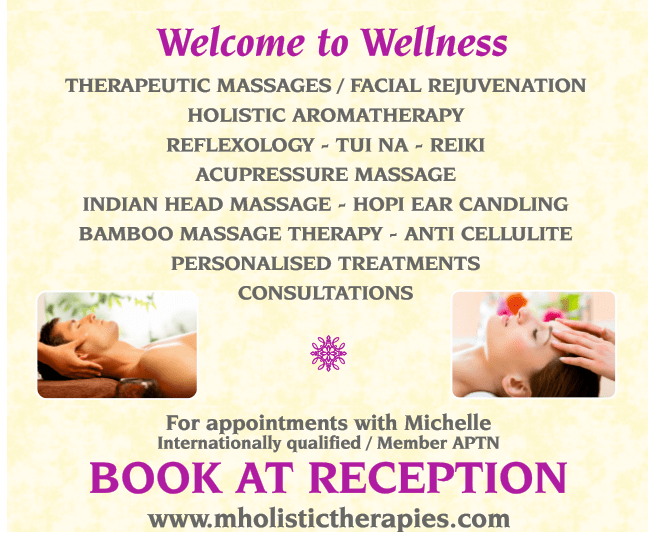 Benefits of massaging and stimulating the acupressure points…. Increases blood circulation and lymphatic drainage to skin and muscles. Reduces puffiness and inflamation. Stimulates removal of toxins and waste products from tissues. Improves texture of skin, increases cellular activity. Improves muscle tone, lifts, rejuvenates. Reduces facial tension, tight jaw. Aids sinus problems and congestion. Relaxes emotional stress and tension. Aids with rebalancing general health and wellbeing. An alginate face mask is a natural beauty treatment that provides a fast and impressive result erasing fine wrinkles, tightening skin, increasing elasticity, leaving skin fresh, supple and radiant. Alginate masks contain seaweeds which stimulate collagen synthesis and improve skin’s water holding capacity. They also supply the skin with essential minerals and microelements excellent for face sculpting. Suitable for all skin types. – Helps dryness, greasy skin, rosea, thread veins. Revitilizes dull, devitalized opaque skins and moisturises. Helps open pores (helps reduce pore size). *This mask is extremely important for sealing all the products and moisture into the skin to help protect against harmful outside elements. This Wine Therapy finishes with the removal of the mask, which ends this deeply relaxing therapy and the client’s focus is gently brought back into the room. *If the skin is prone to spots and blemishes, a few additional spots may be noticed following treatment but these will tend to come and go much quicker than normal. *Avoid immediate sun exposure for 4-6 hours after the treatment. * It is recommended to maintain the treatment at home for ongoing benefit and results using the Aroms-Natur products best suited to your skin type. Please feel free to ask me about any of the products after your treatment or visit the Face Beauty Product section. *It is also recommended to have regular facial treatments to obtain maximum results of up to 10 sessions. 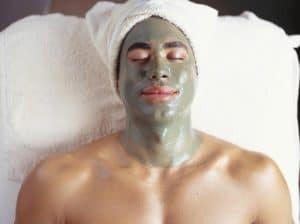 *This Vinotherapy facial is also recommended as an anti-aging and revitilizing treatment for male skins.